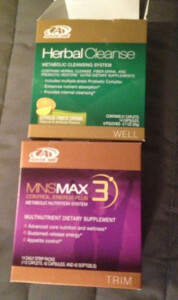 To day is day number one of Advocare’s 24 day challenge for me. The challenge works really well with a healthy diet and exercise. The first 10 days of the 24 day challenge is a mild cleanse that can help improve nutrient absorption and give your body a ‘fresh start’. This cleanse doesn’t restrict your calories or exercise, it’s the start of a healthier lifestyle! The second phase refuels your body with nutrients in order to achieve maximum results. I’m really excited to see what the challenge can do for me! I will be posting on Facebook throughout the challenge, and when I complete it, check back for my results and final thoughts. If you have any questions or would like to join me in the challenge and get a jump start, shoot me a message here! Next Post:New in June- BOOT CAMP referral contest!